One of my beauty secrets is my nightly routine; I try to never go to bed with makeup and always try to use products that leave my skin clean and hydrated before going to sleep. Yes, if you want to look young and maintain brilliant skin, you must take your time to use a good cleanser, moisturizer, and mask twice a week. Sometimes we think that skincare products are too expensive and that we can’t afford to buy them, but this is not true. Sephora Collection has the perfect solution for your nightly routine. Every single item I’m sharing below is under $10 dollars! This exclusive collection at #Sephora inside #JCPenney brings pro-quality skincare with unique and innovative products that offer the best quality for all types of skin. 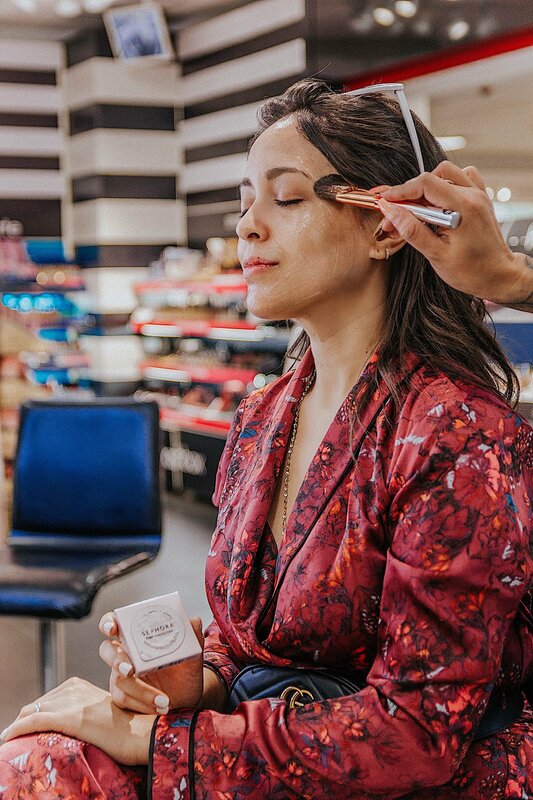 I had the opportunity to visit Sephora inside JCPenney in Laredo to do a mini-makeover with one of their beauty experts and try out the #SephoraCollection must haves for a nightly skincare routine. 1- Sephora Collection Cleansing & Exfoliating wipes in Green Tea ($7.50)—– A easy way to remove your makeup and perfect for traveling. 2- Sephora Collection Clay Mask in Pink (For Unifying & Brightening) ($8.00) have more than 8 different types of clay masks, and they’re perfect ) because you can use them at least 4 times. 3- Sephora Collection Sleeping Mask in Pearl (Perfecting and brightening) ($4.00). I’m so in love with this product, because you can go to sleep with the mask and wash it off the next morning. It’s perfect for me, as a mom, because sometimes there isn’t enough time in the day to wait on a mask, so this is so amazing. 4- Sephora Collection Hydrating Mist in Coconut ($7.50) The perfect Hydrating mist to use after any mask and before makeup. 5- Sephora Collection Lip Balm + Scrub in Honey ($6.00) The perfect duo for your Lips, and will give the right shape to your lipstick after moisturizing. 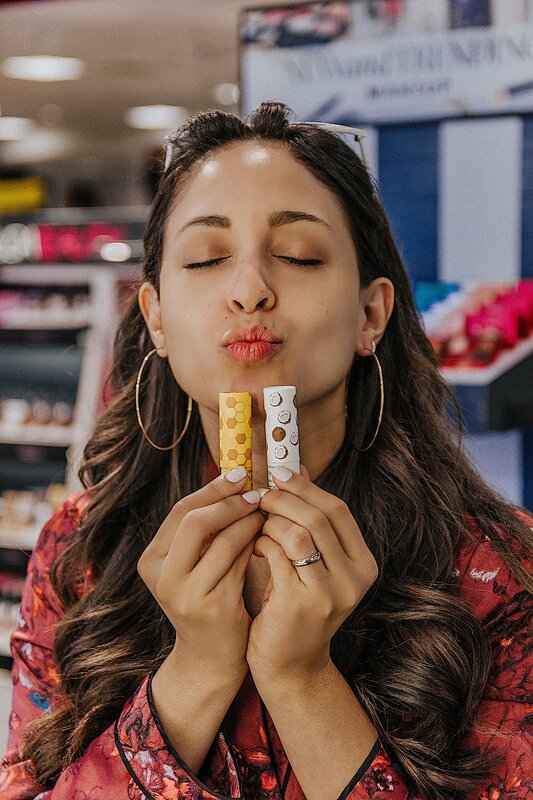 Trust me, simple steps that will help make your skin better day by day, with the best products and with the best prices, only at Sephora inside JCPenney. This post is written in collaboration with Sephora inside JCPenney. #SephoraInJCP #sephoracollection.